Here are some laughs to lighten your day!!! If he doesn't beat you after that, marry him cause he's a husband material. And he breaks your head join the obituaries? Na for grave you go marry am? That last one is madness. Only a psychotic woman would do that. You sabi say that ya name na "the white winch" e mean? If you no change am and I begin address you by ya real name, make you no vex o. 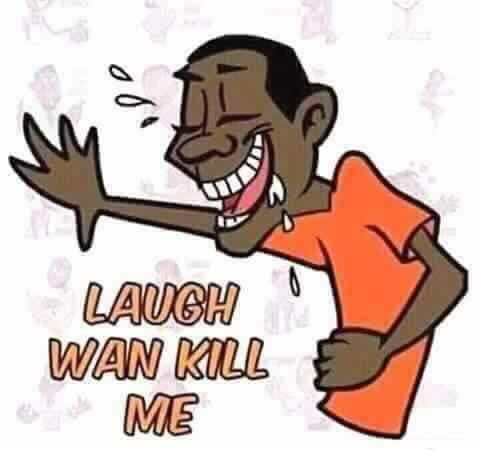 @the last joke,if he doesn't beat you immediately for breaking his windscreen or dump you instantly,please run for your life. He will render you useless later! Break which windscreen? Just ready to buy another, no need for unnecessary anger and beating. Madam,have you seen Beloved's response to your call out where you said you have never received data on the blog?? Please explain ma, the one you got was what? Haha haha something funny for the road.. The last one,o y o is your name. Only a deranged woman will attempt the last one. Ontop wetin naa. Just like one woman that said she would take a big stone and smash her husband’s windscreen cos he refused to give her the car keys. Madness. I have broken windscreen by mistake b4,the guy just shout for long, I didn't say a word not even sorry,b4 d end of d day he replaced it that was when I apologized and explained how it happened, end of story . My punishment was not to drive d Benz and always telling me I don't know how to drive. You see that last one, whatever you see you take in good fate. The last joke, it depends on the country you staying. If na Western world, you dare not touch her, but if na our Naija, u most likely get away with hitting her! My first oyinbo gf broke my lappy during an argument, i calmly left my apartment to hang out with friends. I broke up with her shortly after that. It makes sense to completely avoid such violent women.